During the morning session, we identify your four personal “inner beauty words,” that will help you take your wardrobe from ho-hum to fabulous–an invaluable styling tool. You will wonder how you ever got dressed without them! After a delicious lunch, using the clothing you and other participants bring, Ginger will offer a full range of fashion tips and guide you to take what you’ve learned and put it into practice right away. It is a truly transformative day! 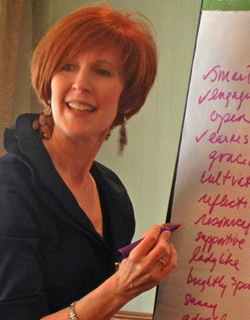 Ginger gives fun, educational, inspiring seminars and workshops for women. 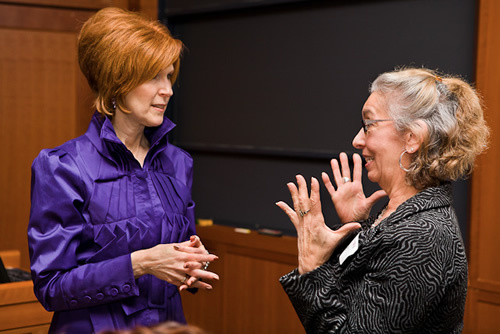 She speaks to professional women’s organizations, women’s social groups, conferences, and any business where women want that extra boost of confidence and competitive edge in the corporate world.